An acrylic rack for staging and showing reef frags. Holds plugs with crowns up to 1.5" and stems up to 1". 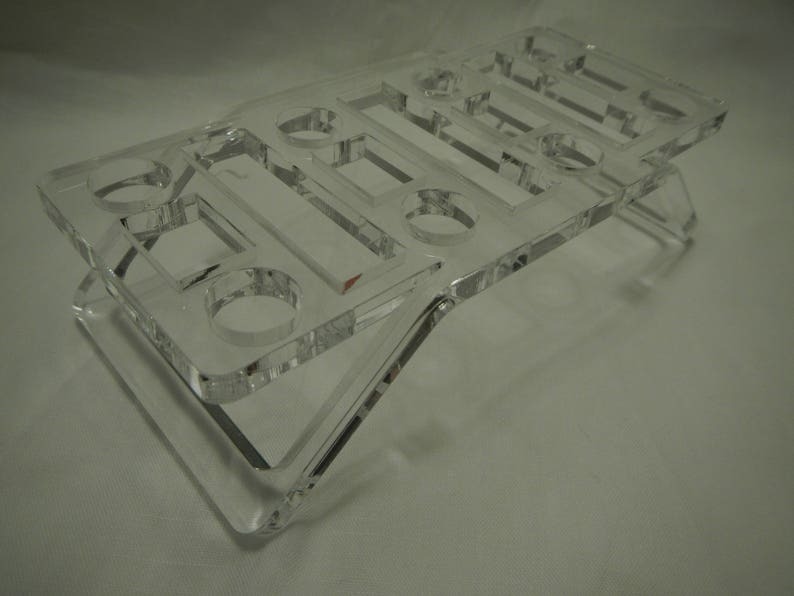 Made from thick acrylic and designed to allow water to flow thru and around the rack. Measures 6"x 3" x x 1.5". Can hold up to (8) 1.5" coral plugs or up to (11) .75" coral plugs.